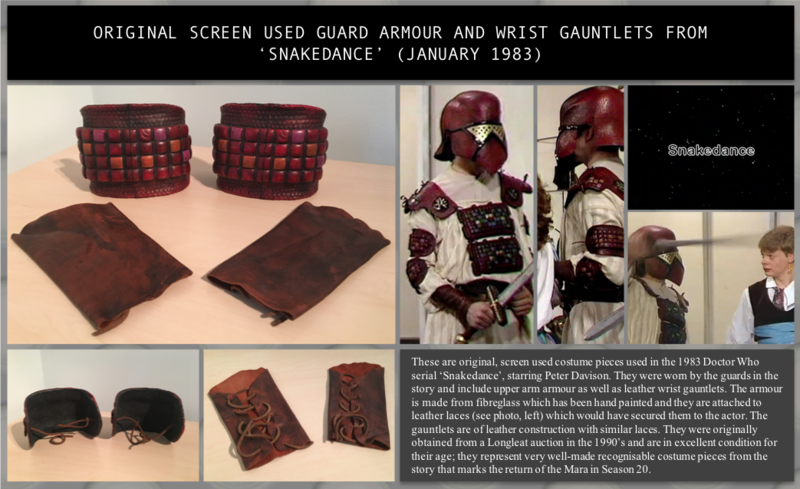 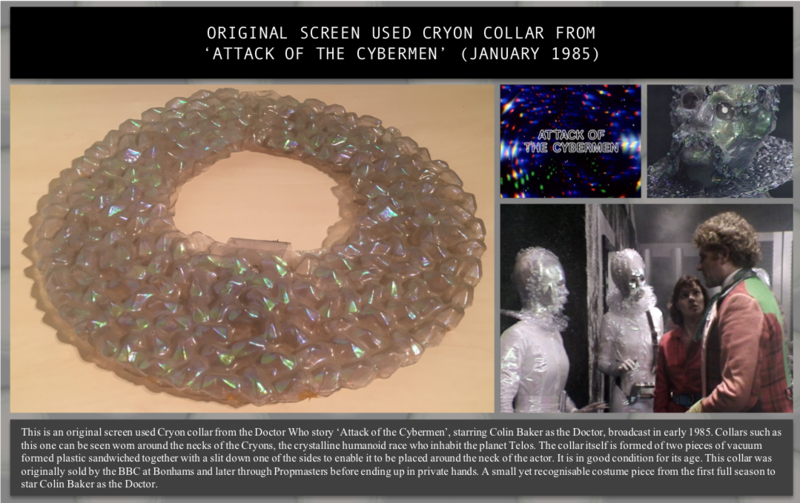 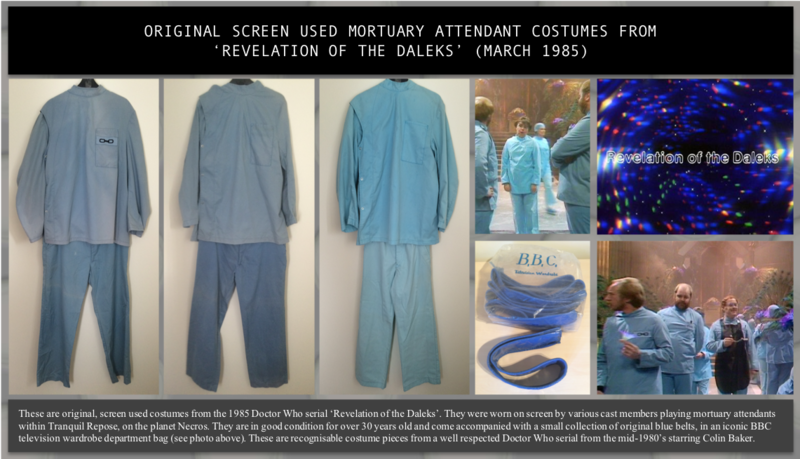 This large collection consists of props and costumes from the classic series of Doctor Who. 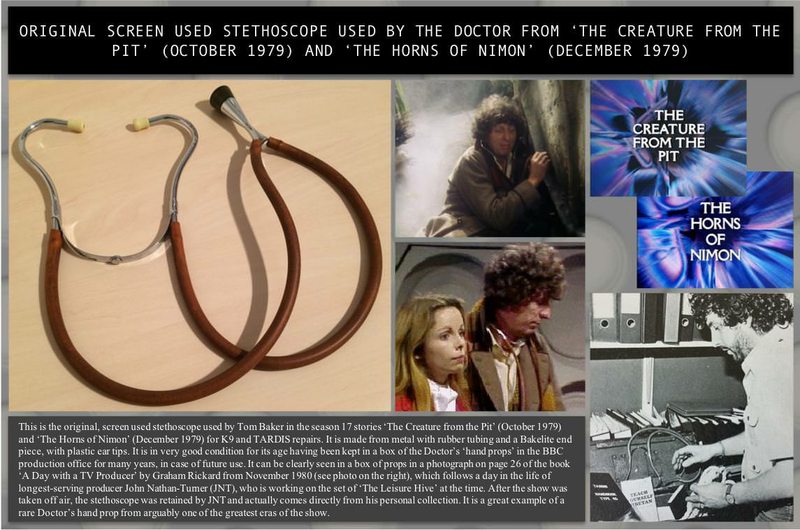 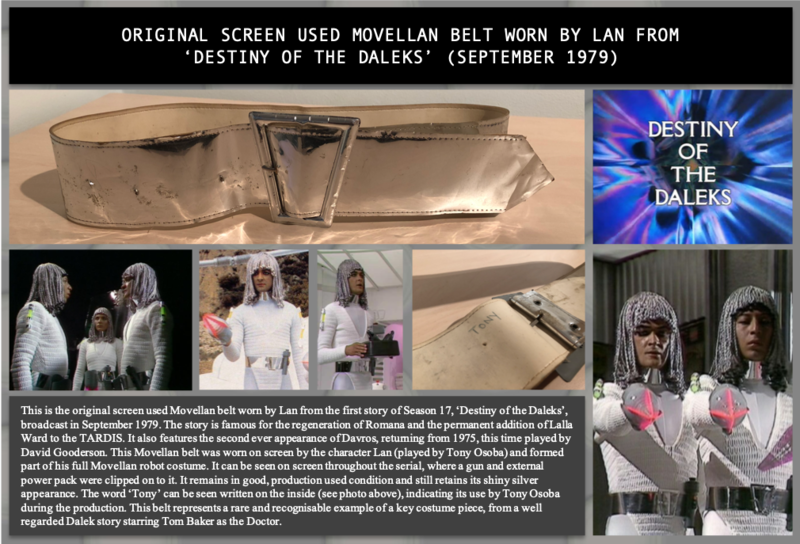 This encompasses some very rare items including the Doctor's original stethoscope, as used by Tom Baker in the 1970's, as well as other original screen used props, costumes, weapons, filming miniatures and more! 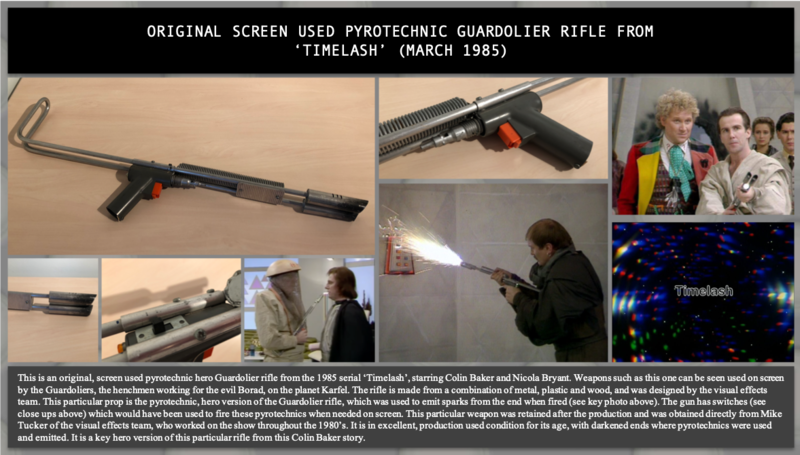 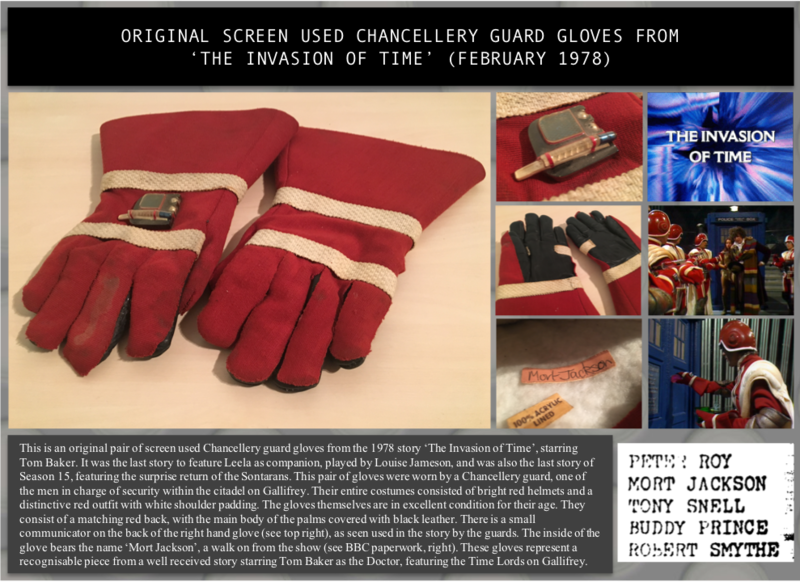 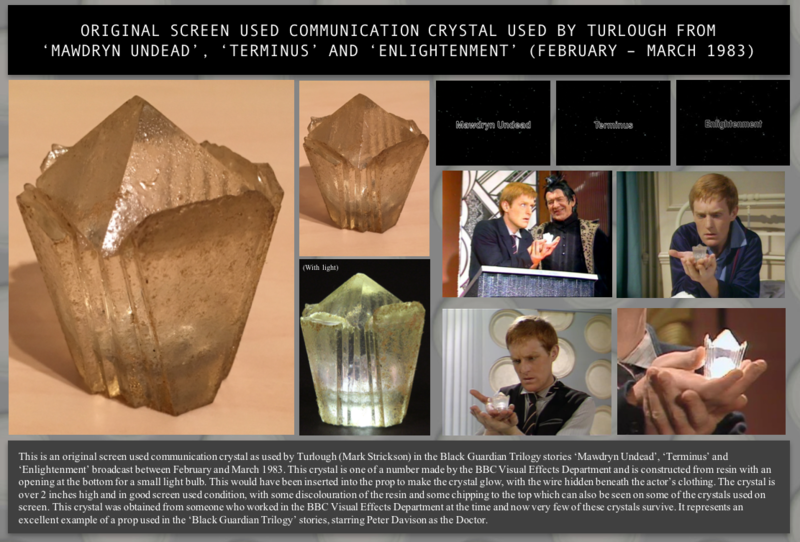 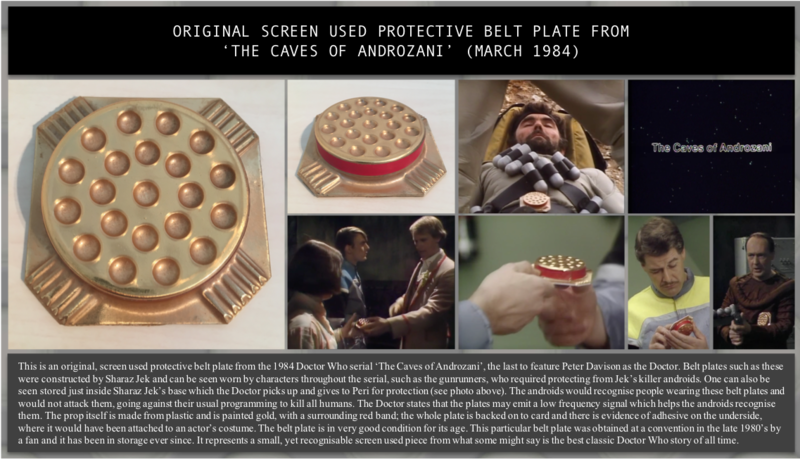 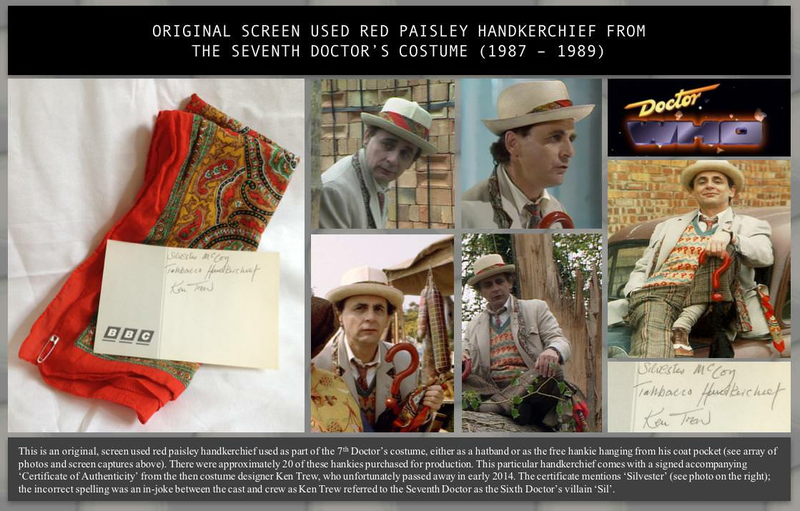 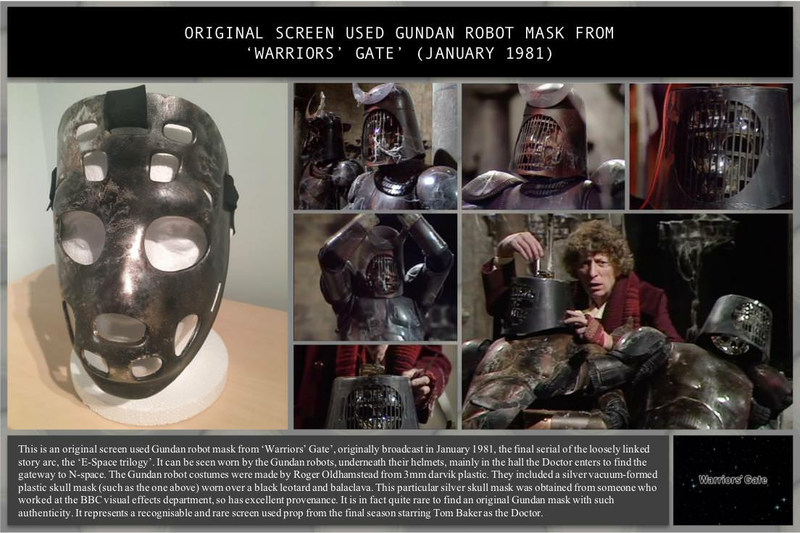 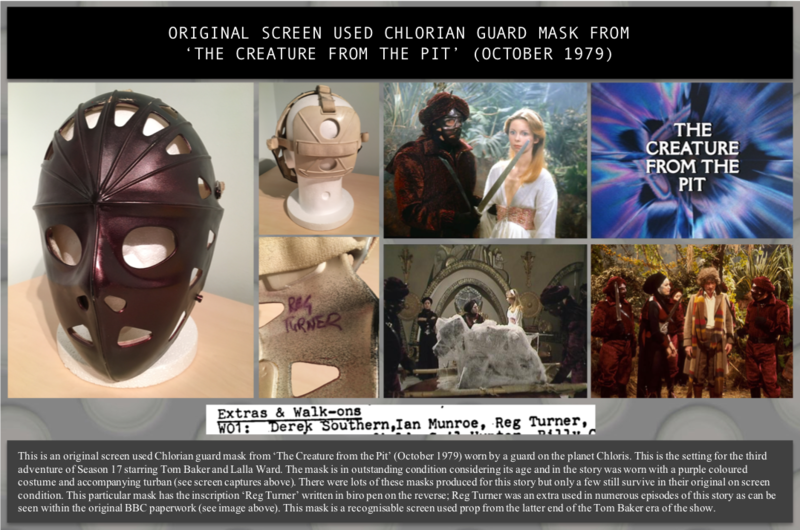 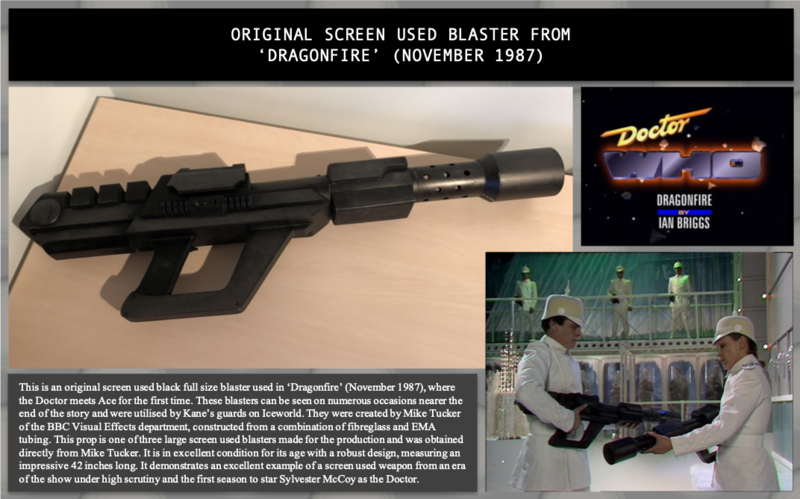 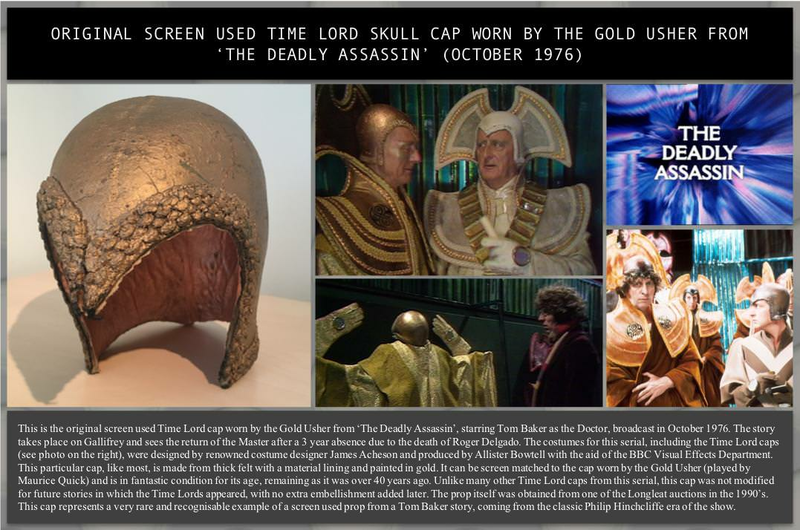 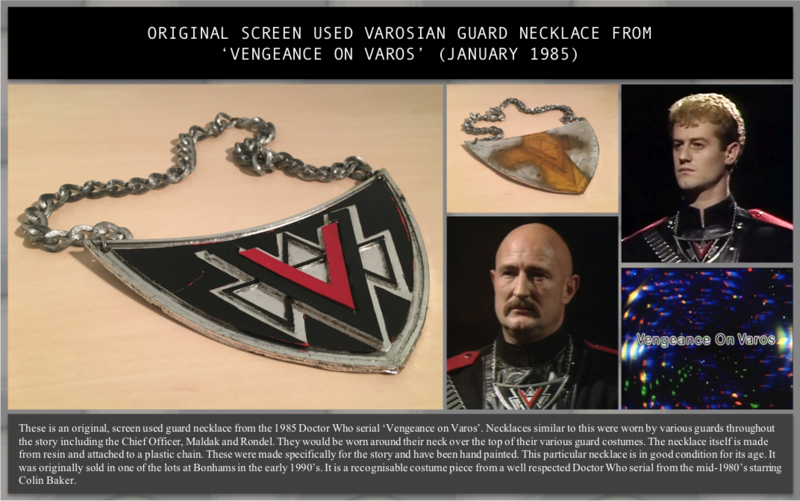 The items displayed here come from stories starring Jon Pertwee, Tom Baker, Peter Davison, Colin Baker and Sylvester McCoy, some even originating from the personal collection of longest-serving producer, John Nathan-Turner (JNT). 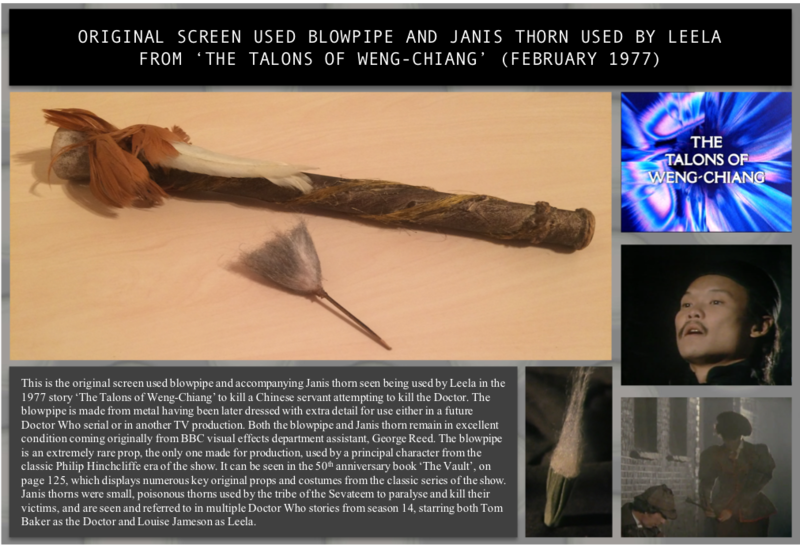 Please see below for a sample of my collection. 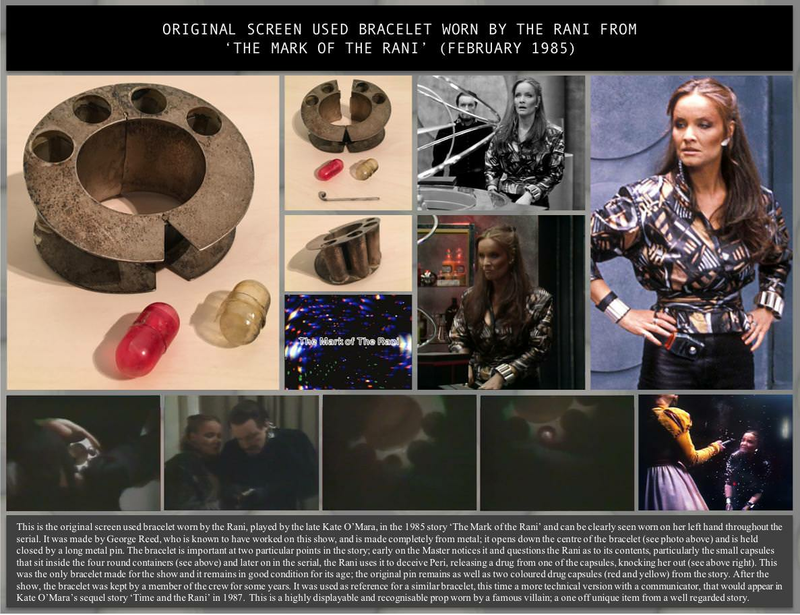 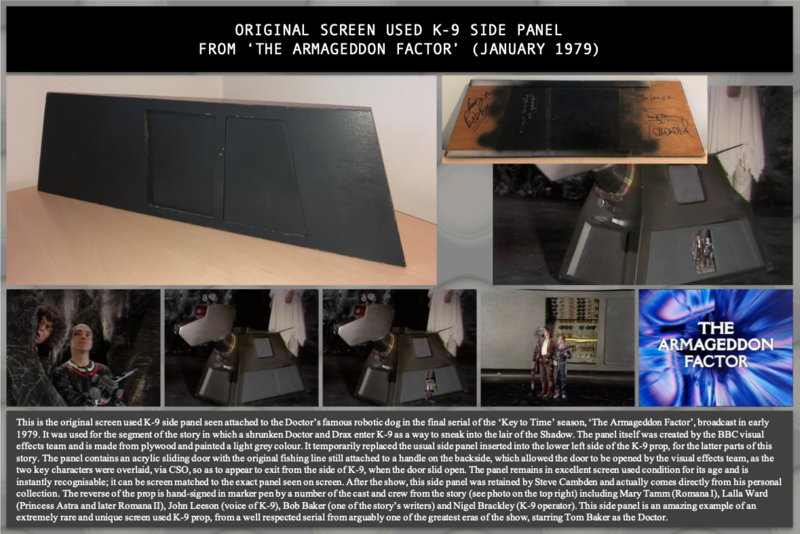 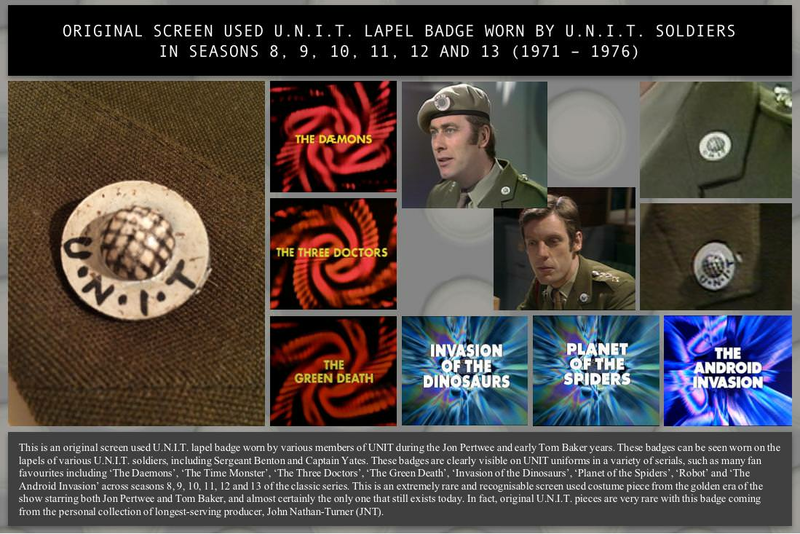 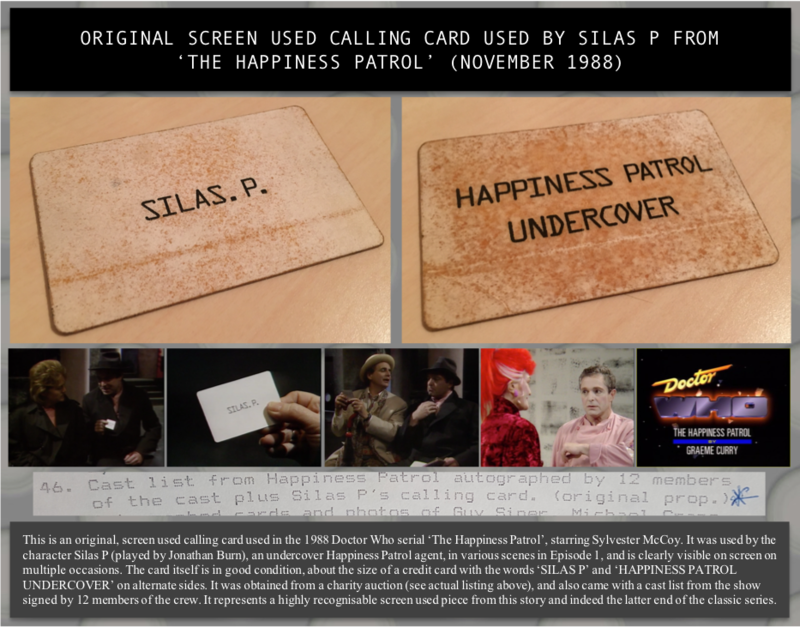 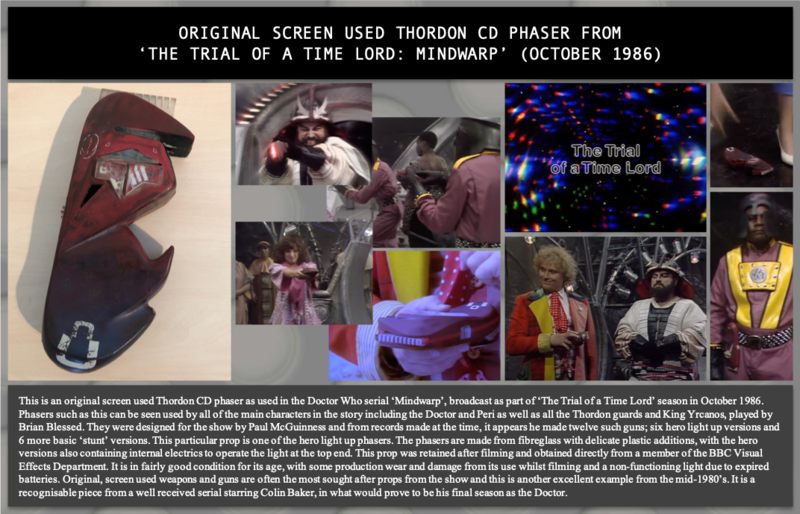 All items are catalogued in order of appearance, with pieces spanning from 1971 to the show's cancellation in 1989, with a piece from EVERY year and EVERY season between Season 14 (1976) and Season 26 (1989), including a piece from every story of Season 22! 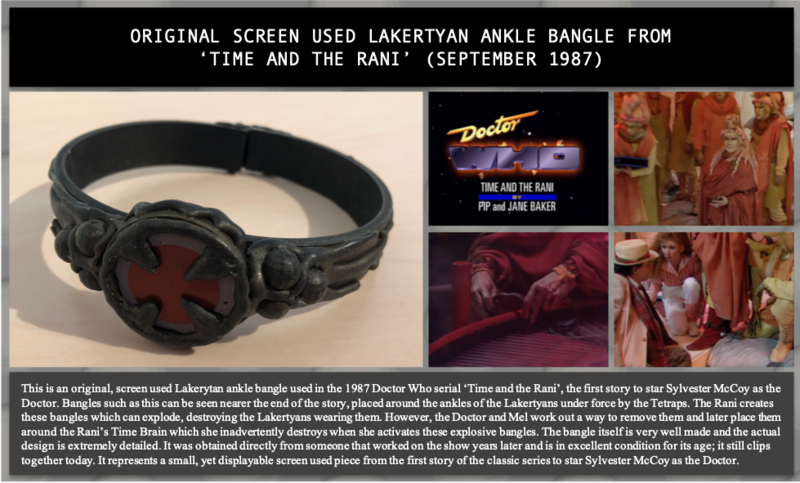 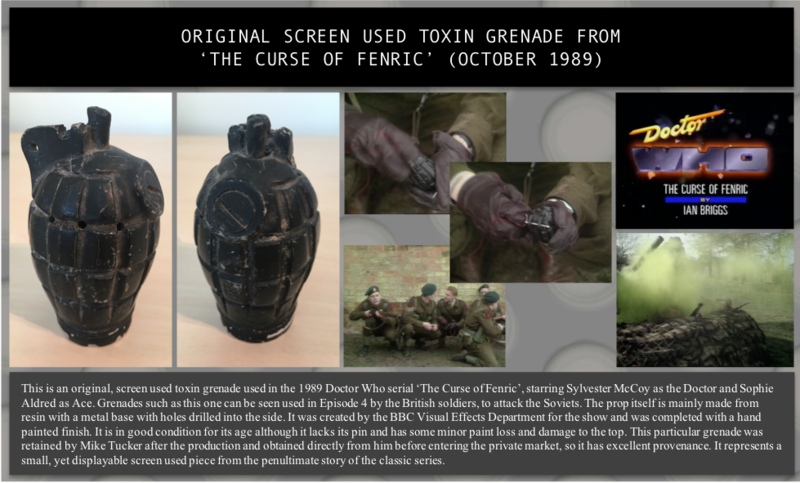 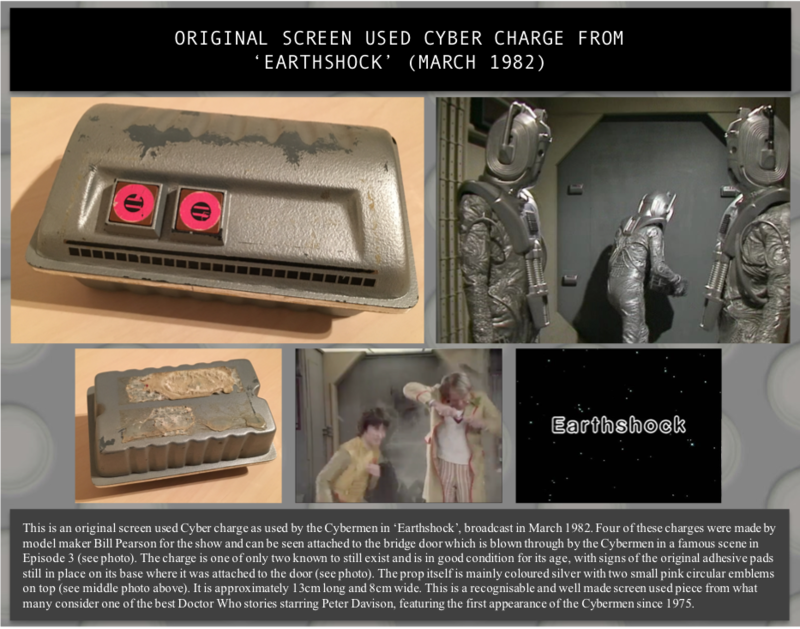 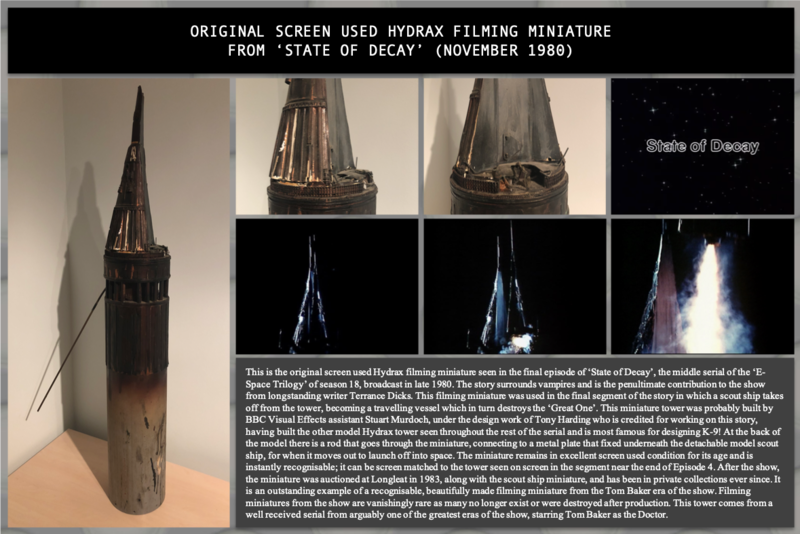 Feel free to drop an email to drwhoalexinlondon@gmail.com if you have any questions or if you are looking to sell any screen used items. 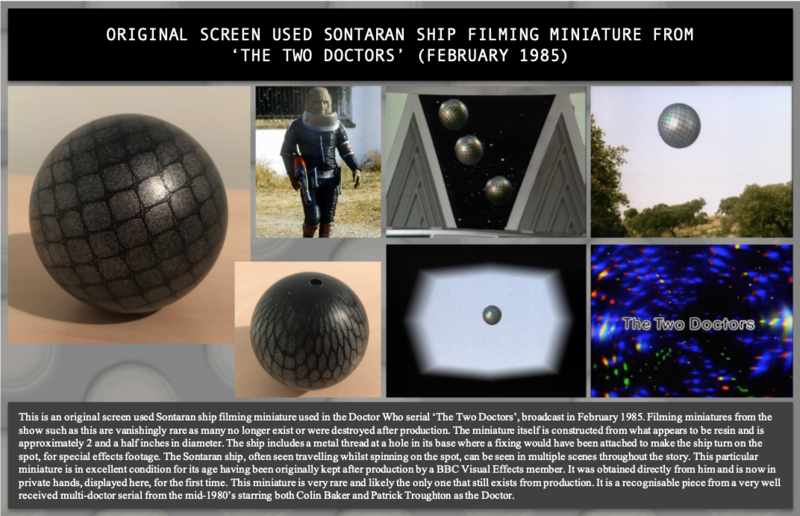 All images and screen grabs copyright BBC worldwide. 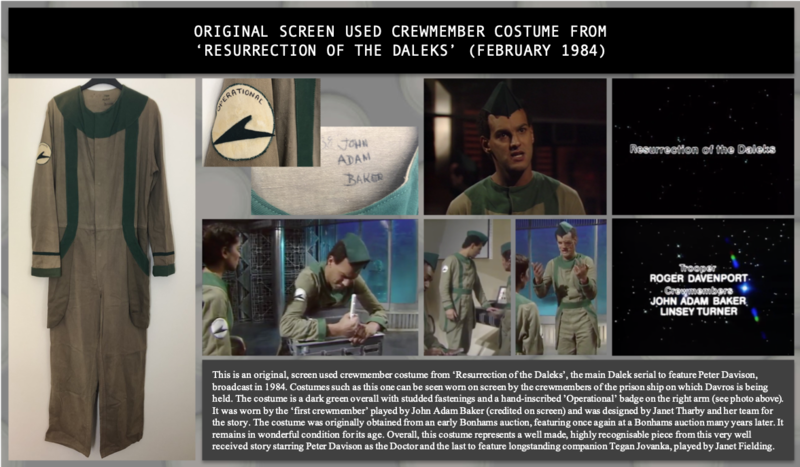 All of the pictures on this page are the property of Alex in London and may not be used or reproduced in any way without his explicit written consent.